Many 12 step rehab programs treat only the symptoms of addiction. By focusing on the roots of your addiction, our staff identifies and addresses the core underlying issues and patterns that have led to self-destructive behaviors. This leads to long-lasting results, rather than temporary triumphs that are short-lived. We strive to provide the highest level of care through research-based treatment protocols with proven results. We don’t just do what we “think” is right, we do what research has PROVEN to be the most effective way of treating addiction and its associated disorders. We use an array of proven therapies, holistic and traditional, that have proven to stop the cravings. Journey Malibu’s non 12 step rehab and recovery programs are licensed by The Department of Alcohol and Drug Programs of the State of California. We are presently going a step further by gaining Joint Commission Accreditation to further our efforts in treating and helping Southern California residents struggling with addiction. A Discrete Dreamland: Our confidential program nestled in Malibu, overlooks a panoramic view of the beauty of the ocean only a few miles away from the Pacific Ocean. A unique, microclimate that is one of only four in the world, is known to promote health and personal growth. We maintain a luxurious residence with a small, select group of guests. This allows us to focus intently on each individual as we guide them safely through their individualized program — from an initial assessment and if needed gentle detoxification, to our expert one-on-one counseling and revitalizing therapies. Journey Malibu has two consulting adjunct doctors: a psychiatrist renowned in the field of addiction and psychiatry as well offsite as our MD who incorporates holistic remedies with traditional medicine. Both utilize a client-centered approach; whereby, you have the opportunity to meet and discuss treatment options that meet your individual needs. Our doctors are available 24 hours per day. Journey Malibu offers safe, comfortable and supervised detoxification services on site, unlike other programs where you must detox in one facility and get treatment in another because there is not adequate care or licensing for both. Truly individualized client-centered therapy and multiple choices for recovery. Treatment is based on each person’s individual needs. We are not a cookie cutter program with an assembly line treatment approach. 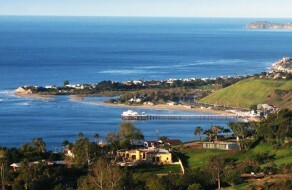 Journey Malibu truly caters to each client’s individualized needs. Journey Malibu is not opposed to the 12- Step program of Alcoholics Anonymous, but we understand that their methods may not be right for everyone struggling with dependency. We believe that support groups are part of your extended care and our job is to give you choices and exposure to all the various types of support groups with the hope that you will find one that speaks to your personal sensibilities such as Smart Recovery, Women In Recovery and Secular Organizations for Sobriety. We help individuals regulate emotions that may have overwhelmed them. Many patients who struggle with addiction were never taught how to cope effectively with emotions and conflicts. Our goal is to provide each person with the tools to manage their emotions before they get overloaded and act impulsively, something that often leads to self-destructive behavior. We strive to teach you how to live in the healthiest way. We want to help you focus on your strengths and build upon them as they help lead you on the right path of control and sobriety. Understanding the issues that have led you to where you are will help prevent their reoccurrence in the future. 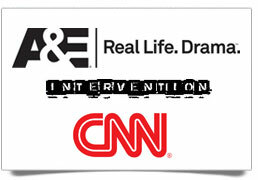 Relapse prevention is one of the key components of our program. Here at Journey Malibu, the staff helps you figure out and understand your unique “triggers” and “warning signs” that may lead to the abuse of alcohol and drugs. We also help you formulate an aftercare and relapse prevention plan that will help you continue your journey and have the tools within arm’s reach: your own personal repertoire of living skills, enabling you to deal with vulnerabilities that will inevitably occur. Moving forward is essential and your aftercare plan is critical to the best-continued outcome. Journey Malibu utilizes a treatment team approach: professionals coming together with their own expertise, working as a team to establish the best treatment plan with your goals and objectives in mind. We encourage family involvement and we hope to procure the most support for you from your loved ones. We understand that many people want to not only help themselves but also help their family and friends. When you suffer, they suffer, but when you conquer your greatest enemy, they too will be victorious. The foundation of our approach is treating each person as a unique individual and not seen as a “case” or a mere “diagnosis”. We leave the semantics to the insurance company, not to the individual. We shall treat you as a person with your unique background and look to your strengths to help overcome your weaknesses. Studies have shown that the most effective treatment modality is an integrative approach, customized and continuously tailored to your unique qualities. The essence of the integrative approach is it neither requires nor recommends compliance to one theoretical model or method of treatment. One shoe does NOT fit all, and we are determined to offer custom treatment plans designed to fit your specific needs. Pertains to psychiatric care History + Physical Examination +adjunct offsite+ Lab work = a complete diagnosis! We do our due diligence to ensure that no other pertains to psychiatric care diagnoses are contributing to your current mental health. We treat the whole person, not just the addiction, and believe that inner wellness speaks to outer wellness of the mind, body and spirit. All of our professional staff have higher level education, including PhD’s, LCSW’s, LMFT’s, PsyD’s, and Psychologists, all graduating from renowned schools and continuously engaged in learning and implementing the most cutting edge techniques proven to have best outcome measures. You are not in a bubble at Journey Malibu: thus, you may have access to your cell phone, laptop computer and TV at specific times of the day. We do not want to isolate you from the outside world; instead, we utilize and welcome the outside world as a means for individuals to test out the skills that they are learning while in treatment or it affords us to see one’s current situation more accurately. We have dynamic chefs that will cater to your dietary needs and strive to fuel your body with the best nutrients toward wellness. Alumni Involvement: we encourage our alumni’s to come back to share their experience or to just visit to be refueled. 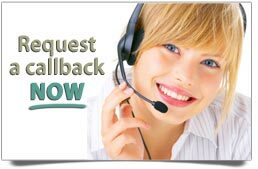 We also have alumni activities online and also afford our alumni to call 24 / 7 should they need immediate assistance. At Journey we truly care and have a limited capacity to further a family feeling. Moreover, we are continuously utilizing client feedback to make any changes or modify anything that is deemed not liked or effective. Our egos are pushed aside, for our ultimate goal is to renew, heal, restore and help one get to a place where overall wellness is achieved. 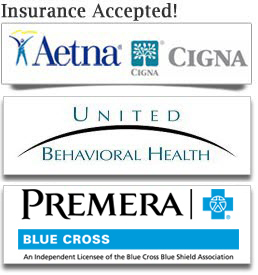 We care and work with you to meet your individual goals toward a better life that restores your balance and wellness.